As we move through the sign of Aquarius into the Age of Aquarius, it is a perfect time to re-align ourselves towards the goals of humanity and to embrace the uniqueness of ourselves at the same time. 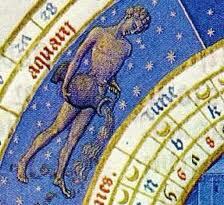 Aquarius, the water-pourer, is known by the 11th house of humanitarianism, fellowship, group endeavors and things hoped for. We are being called to pave the way, as wayshowers, for the New Golden Age (a/k/a The New Camelot) to manifest on Earth. Increasingly, God/Creator/Source of All There Is is pouring forth His Spirit upon the Earth for the spiritualization of matter, all the while guiding us ever homeward. Whether we are aware of it or not, all roads of the Divine Plan are leading us back to the Creator, to realize our divinity and to ultimately become Cosmic Citizens within our shared Universe founded on Love, Unity and Peace. If we are to create Heaven on Earth, embracing the Oneness of All Things, it is truly to a “We Consciousness” we must return, to a living oneness that we put into action with each other, with ourselves (through the integration of our Higher Selves) and with all God Expressions in Form. This is not by any means solely an intellectual exercise, but offers us as an opportunity to walk our talk and be living examples for the benefit of mankind as a whole family. An opportunity is being offered to to you through the merkabah vehicle of Church of the Creator (ChurchofTheCreator.com), to join an organization that is bringing forth this mission. If you are ready to choose to more fully embrace your responsibility as a steward of this our beautiful planet, to bear witness to others as an Ordained Minister and to stand in your divinity, please read the invitation below. Beyond any religious denomination, if you have ever thought you would like to become a minister, to hold recognized credentials and to be a part of an international organization supporting the Family Unification of Mankind, please give consideration to this invitation. If you have any questions, please reach out to me via email or to COTC directly (address below). Kindly forward this on to anyone who may have an interest.